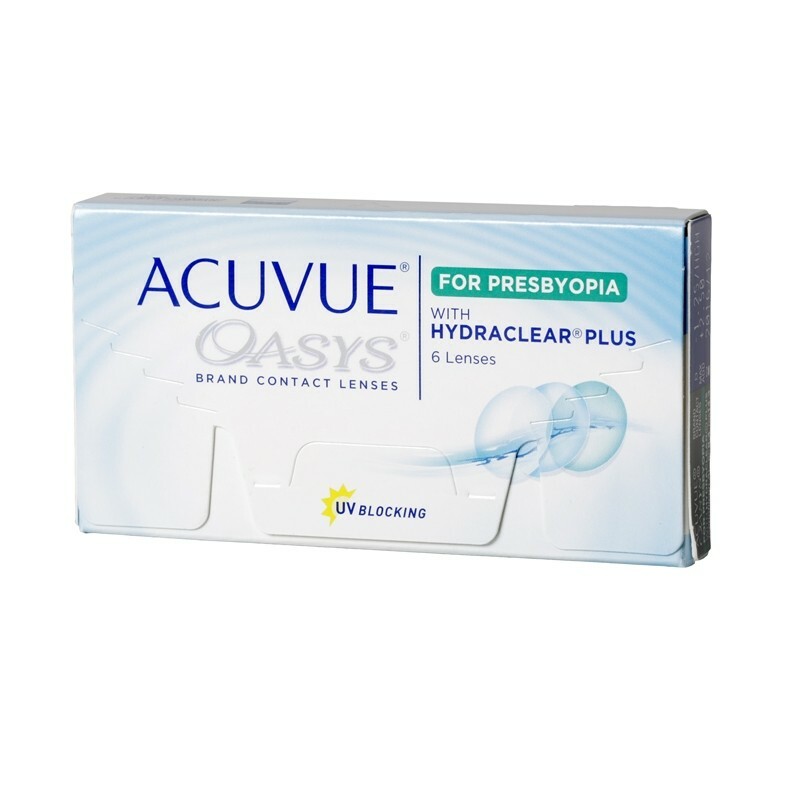 ACUVUE® OASYS® for PRESBYOPIA with HYDRACLEAR® PLUS; features the unique optical design of STEREO PRECISION TECHNOLOGY™ and the exceptional comfort of HYDRACLEAR® PLUS Technology. The result is balanced vision near, far and in-between, across variable lighting conditions, along with remarkable comfort—even in challenging environments that can make your eyes feel tired and dry. material:senofilcon A, Silikon Hydrogel, HYDRACLEAR®-Plus permanently embeds a higher volume of moisture-rich wetting agent.